How could I not choose a text with a matching Welsh tune on St. David’s feast day? Here’s a fine text which usually goes with Cwm Rhondda, one of many great Welsh tunes. By the way, I used the text with “Redeemer” because I’m not keen on pronouncing the tetragrammaton.Check out the video links at the bottom of this post. Here’s a congregation singing their hearts and lungs out in Welsh. Would that congregations in the US could muster even a tenth of this zeal. For something completely different, here’s Sweet Honey in the Rock singing this text to a different tune. 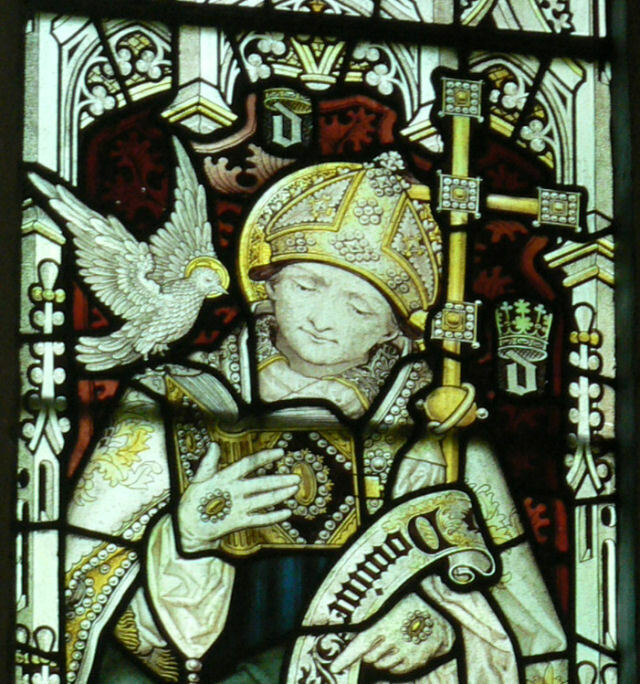 The image shows St. David, from Wikipedia.